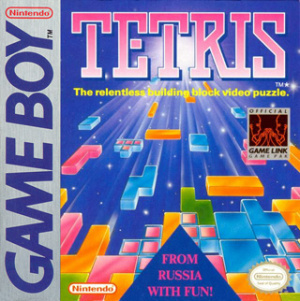 The classic puzzle game by Alexei Pazhitnov, considered to be the defining game on the Game Boy! 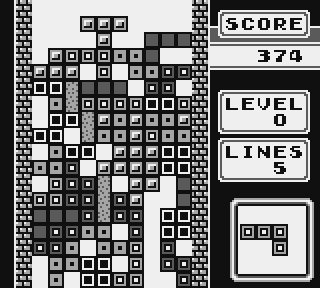 Tetris gives you a screen which slowly fills up with "Tetrads" made up of four blocks in various shapes. 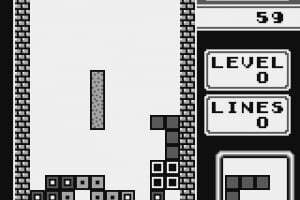 You have to move and rotate the blocks so they form solid rows across the screen, whereupon the row will vanish and you will score points. Clearing more than one row at a time will net you a bonus multiplier. 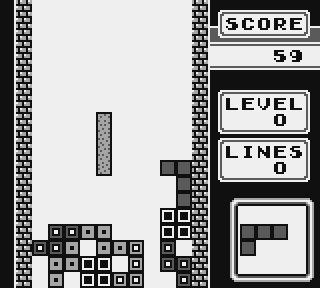 If the screen fills up with blocks then the game ends. 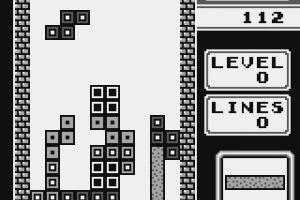 In Game A you play endlessly for high scores. 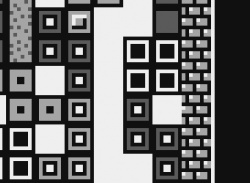 Acquiring a large high score may net you one of several rocket animations available. The better your score, the bigger the rocket that takes off. 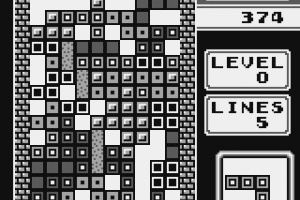 Game B requires you to clear a certain number of lines in order to win the game. 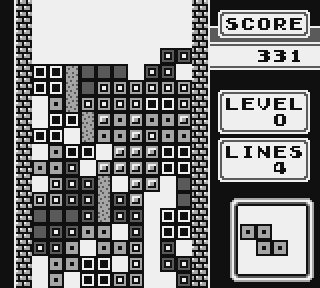 You can increase the number of lines you need to clear, making the game longer. 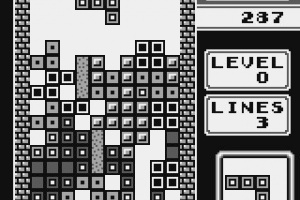 For both games you can increase the number of blocks already on the screen when you start, as well as the speed. There are three kinds of music to choose from as well. 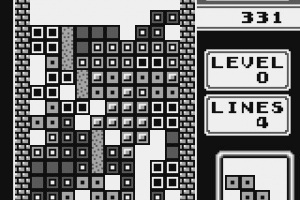 If you have a Game Boy Link Cable you can play a multiplayer game, where indestructable rows of blocks rise from the bottom of the screen when your opponent clears lines. Amazing Game! So good I have 2 copies! my hi is 175000. Such a wonderful game! I remember being jealous that my younger cousin Amy got her shiny new GameBoy one Christmas and my parents couldn't afford one... I was so jealous! 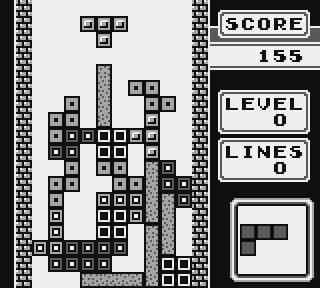 ;-/ She had this monochrome Tetris game up on there and I grew to love puzzles because of playing Tetris. 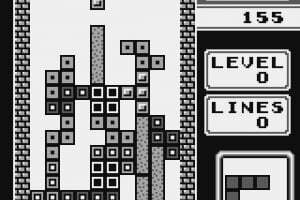 This game is a definite 10/10 and is a must have for any old school GB/NES/puzzle fanatic. Absolutly great game, I had it when I was a kid, and now I bought it again in a retro store, a fundamental game in the history of videogames. yeah, that's a real classic. Have 2 copies too, one on a multicart, and played it with the cable link. Just awesome. Addictive-ly puzzling....as in can't put it down fun. 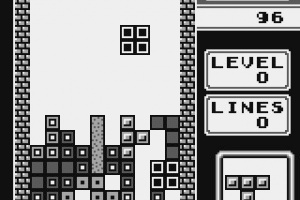 GAMEBOY! 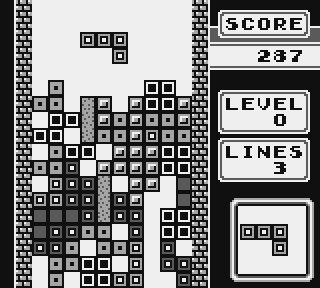 DON'T FORGET YO TETRIS! A game that works very well on the GB. 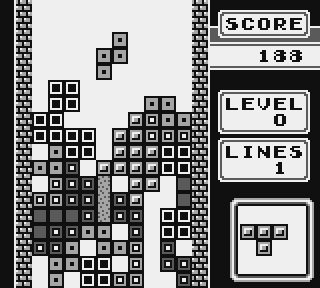 Will probably buy it when it comes out just for some Tetris to play when I'm about. This GB version is nothing special - but it's all it needs to be. 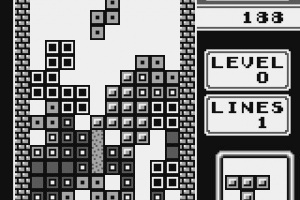 An essential addition to the Virtual Console. This one really brings back memories. €4 ???? they sould have made this a free chritmas download. No... No North American release date? If this is released in NA I won't need to jug Axis around! Surprised they're not giving us the DX version despite this is the original. True dat. 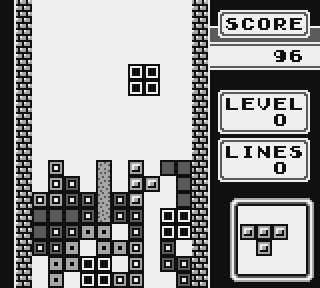 They got Link's Awakening DX on the shop, but they can't get Tetris DX on the damn thing? 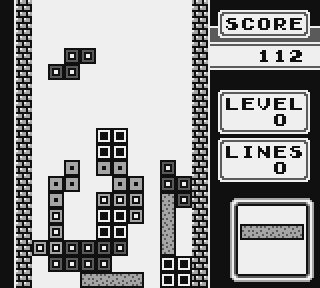 I don't hav tetris DS or Party Live, so I'll get this!